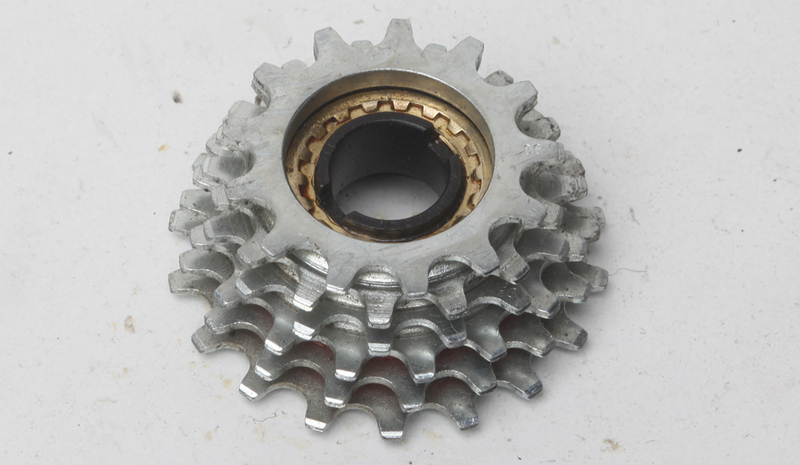 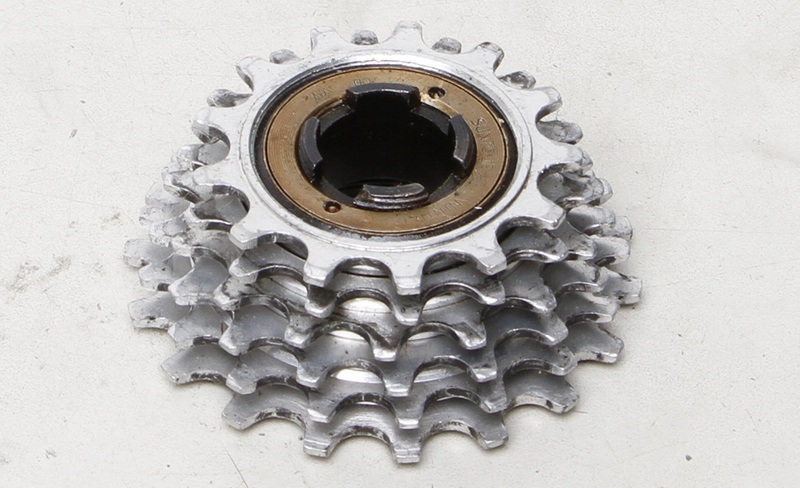 Freewheels are fitted to threaded hubs – and should not be confused with cassettes which normally fit on splines. 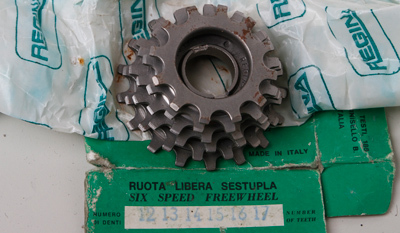 All freewheels are English/Italian threaded unless stated otherwise – English and Italian freewheel threads are to all intents and purposes interchangeable. 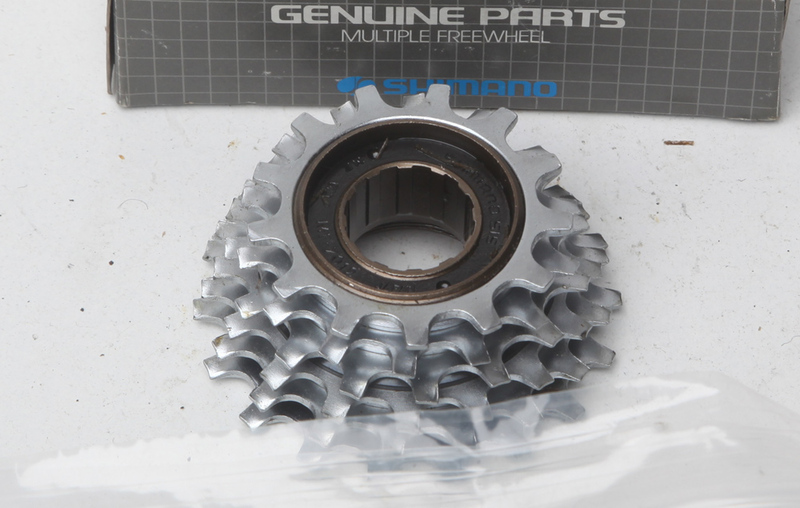 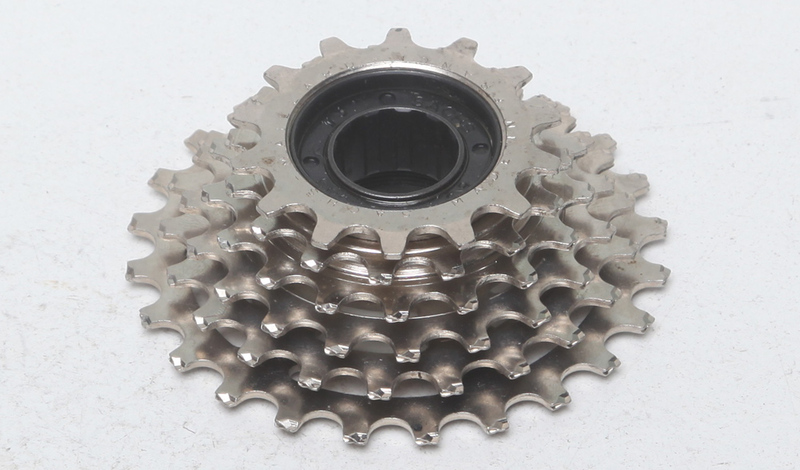 6 and 7spd freewheels sometimes come in compact versions – a compact 6 will fit just in the space of a standard 5spd freewheel and a compact 7spd will fit in place of a standard 6spd. 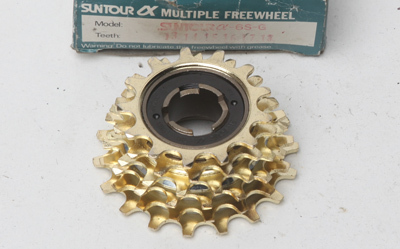 Suntour called their compact versions Ultra-6 and Ultra-7. 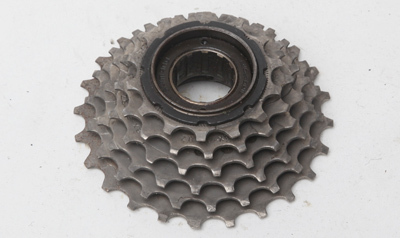 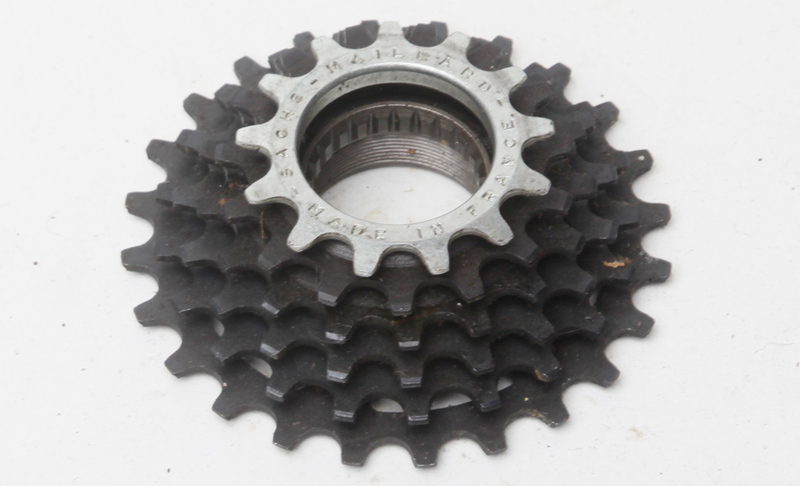 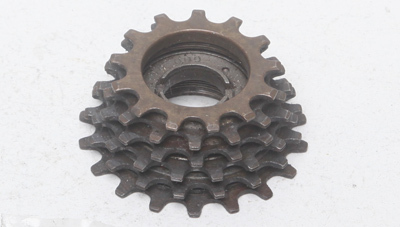 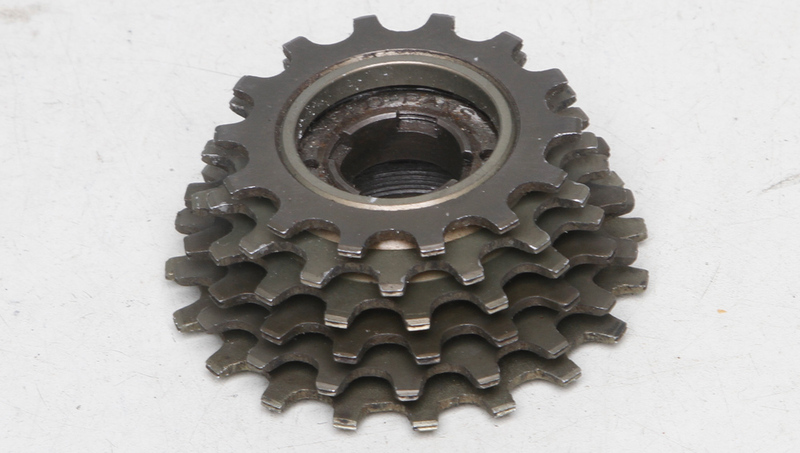 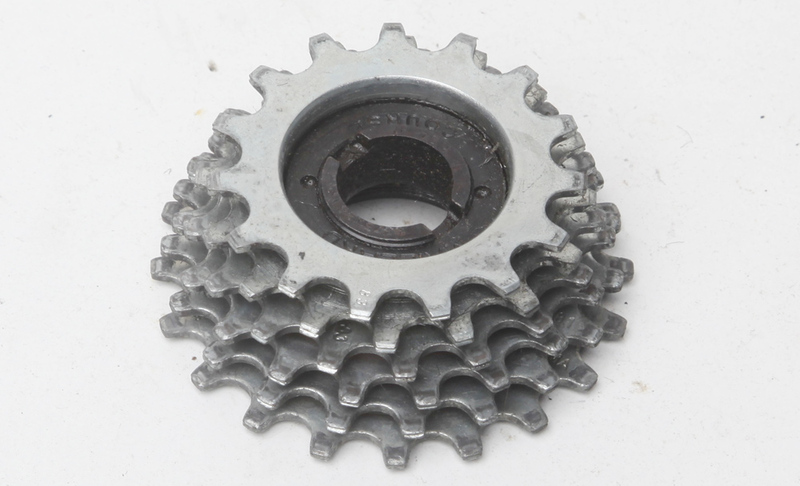 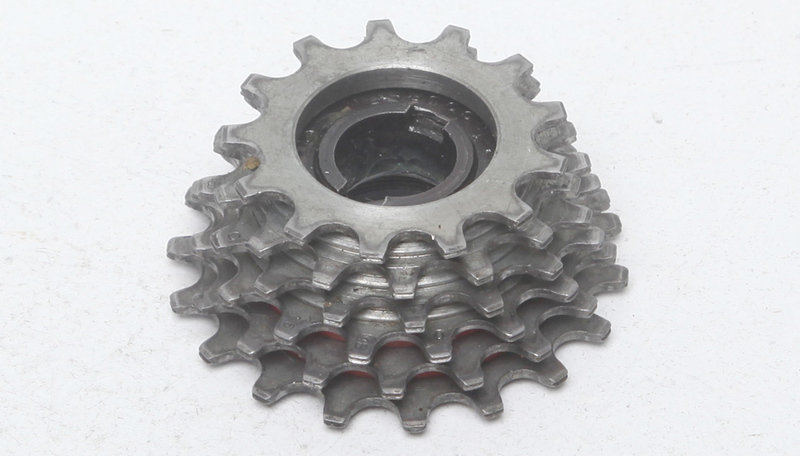 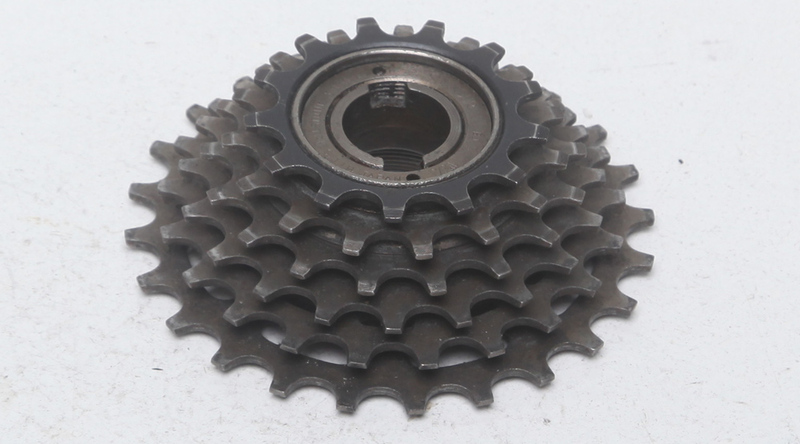 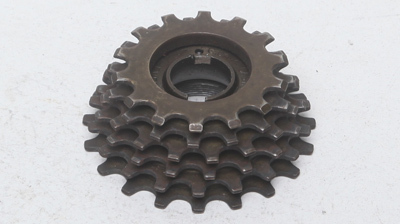 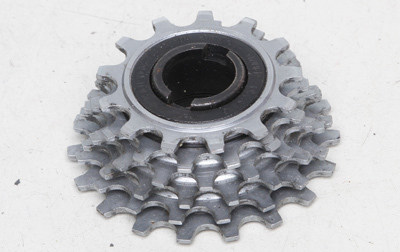 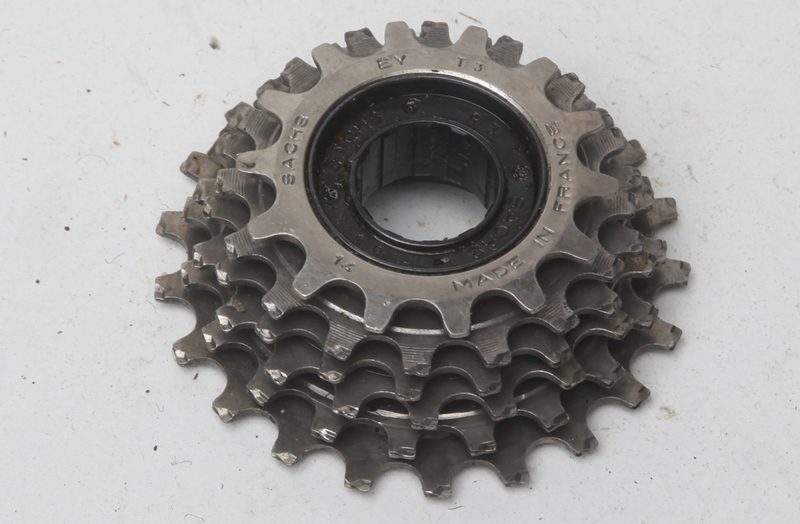 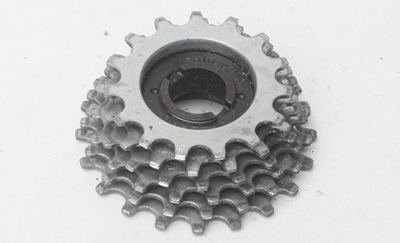 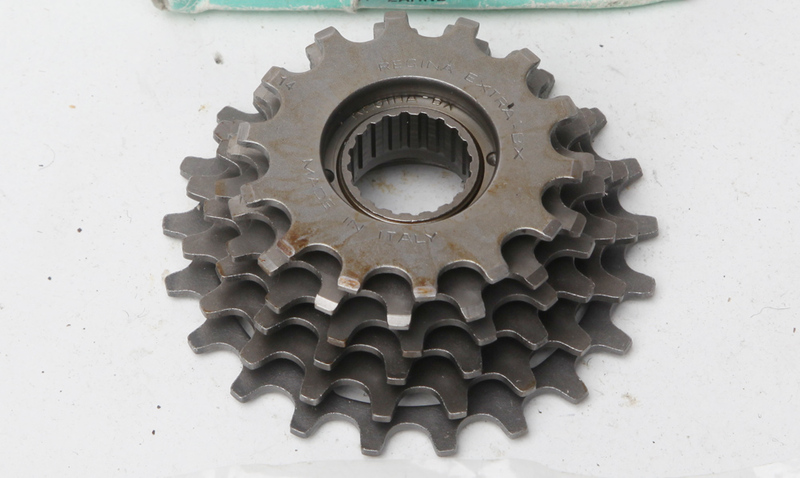 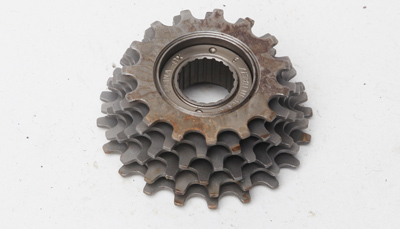 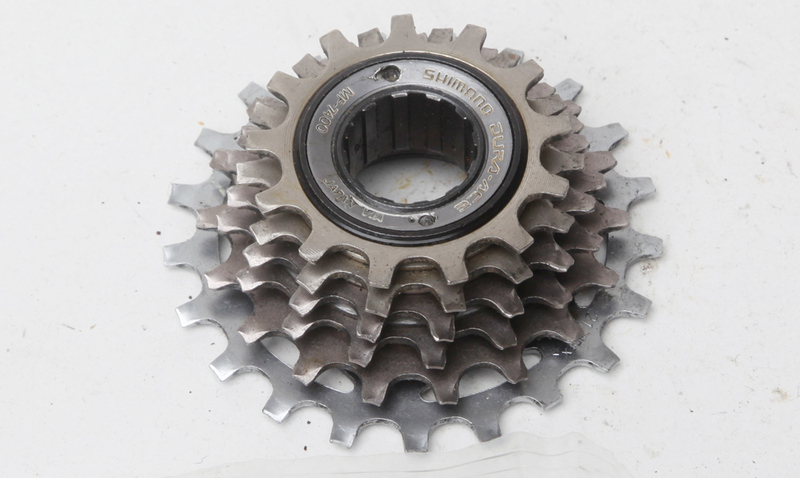 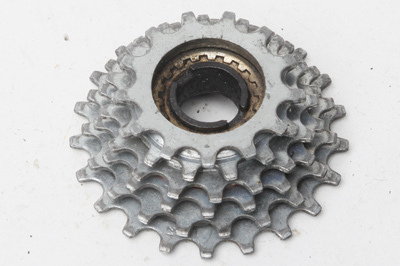 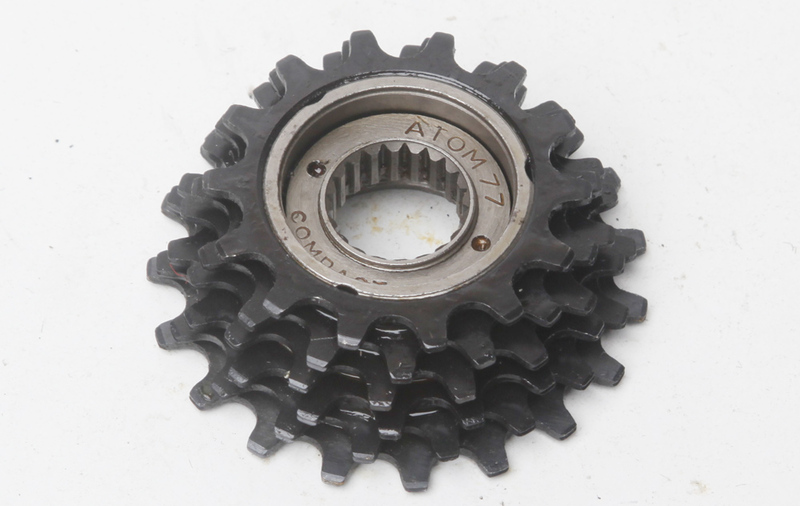 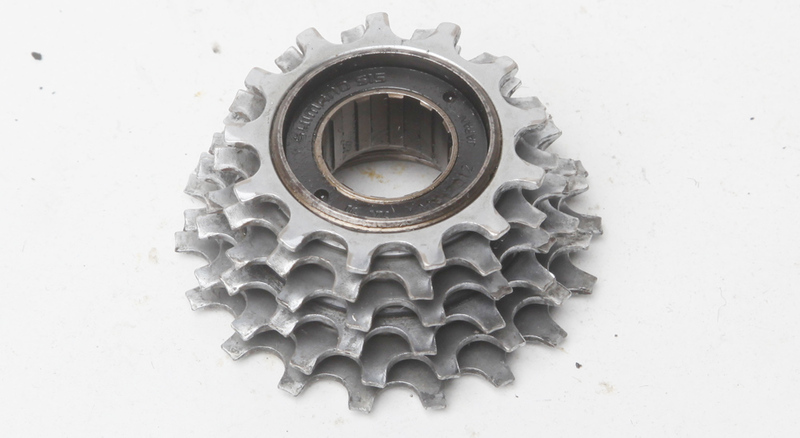 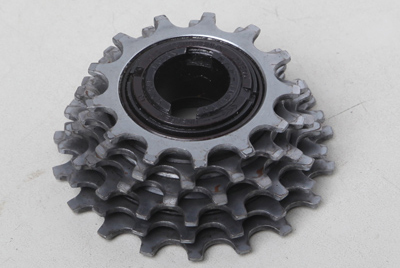 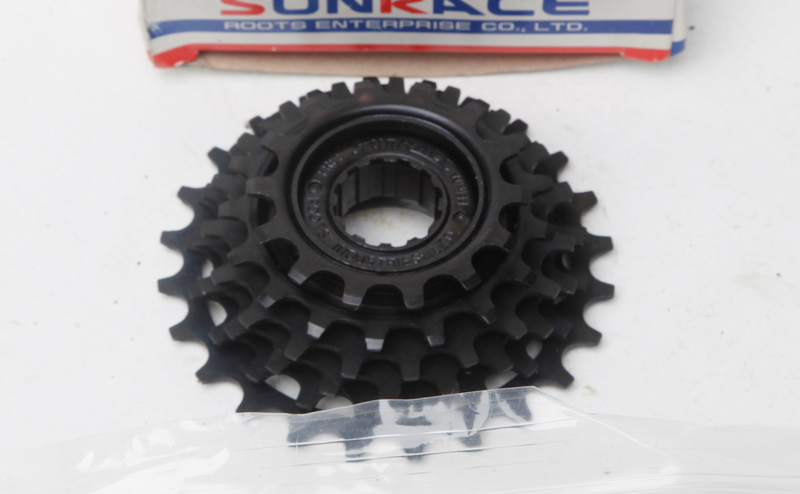 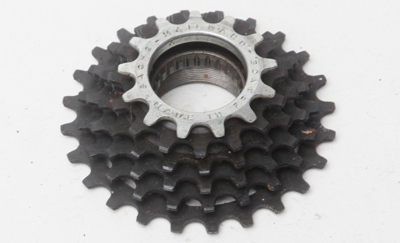 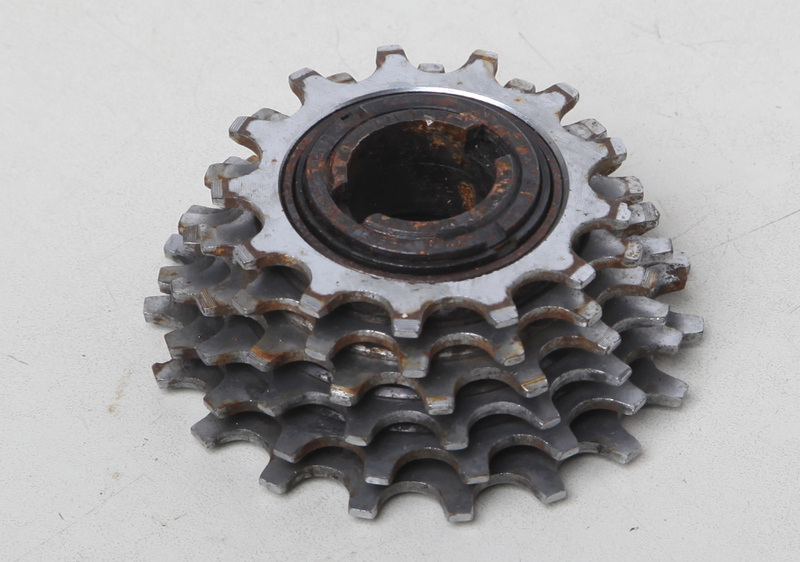 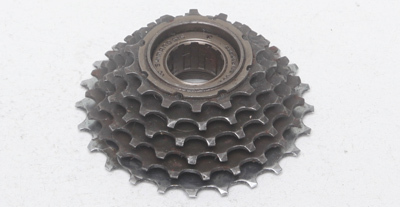 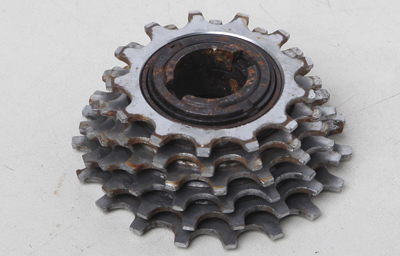 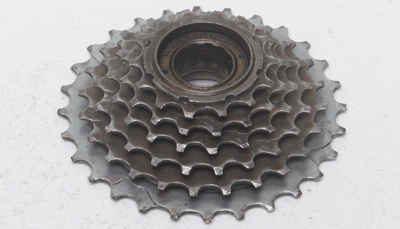 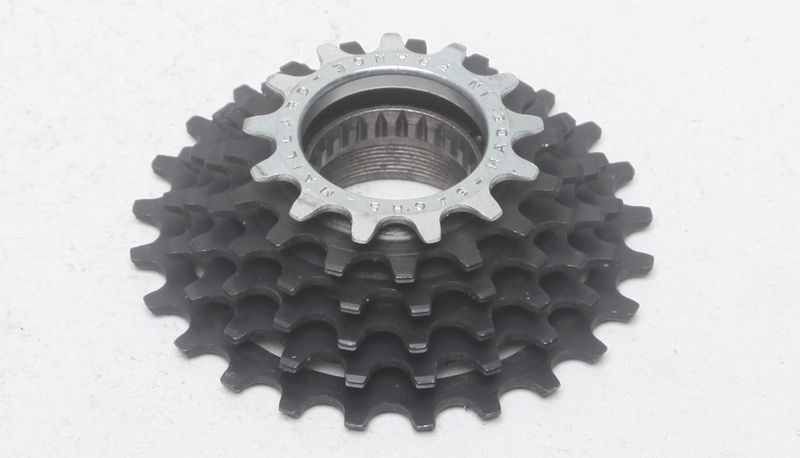 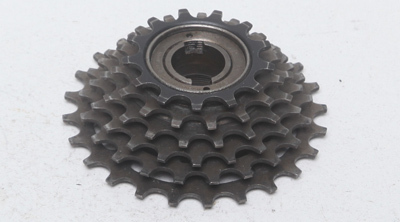 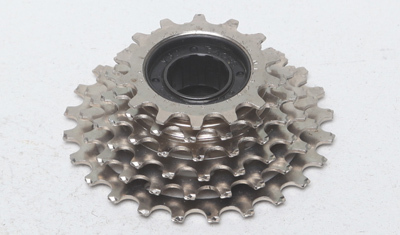 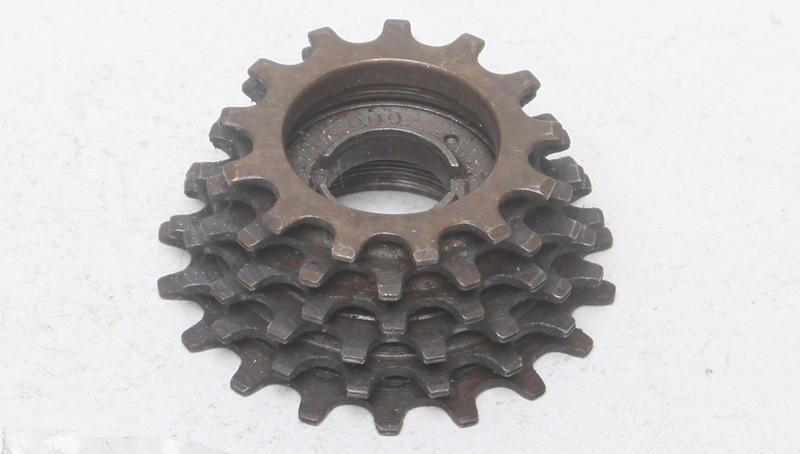 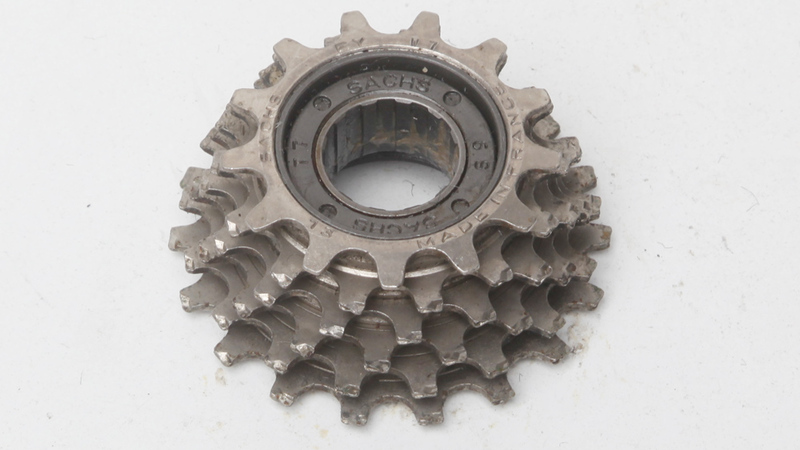 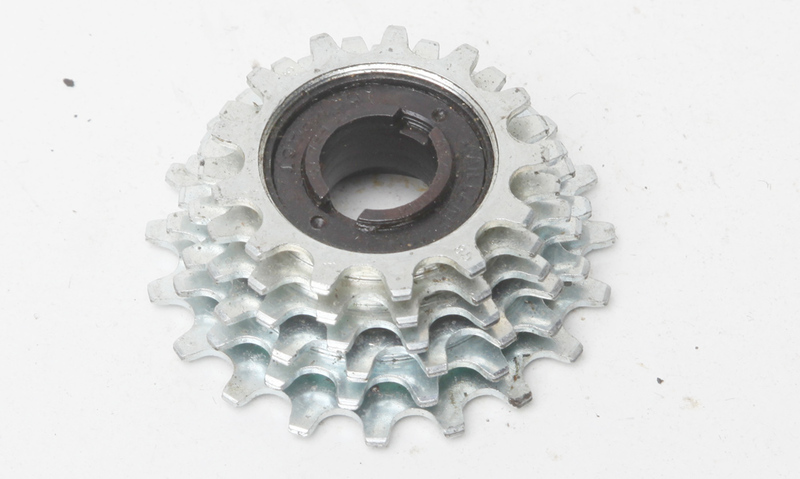 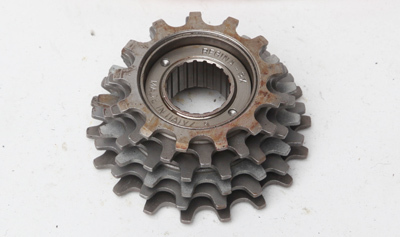 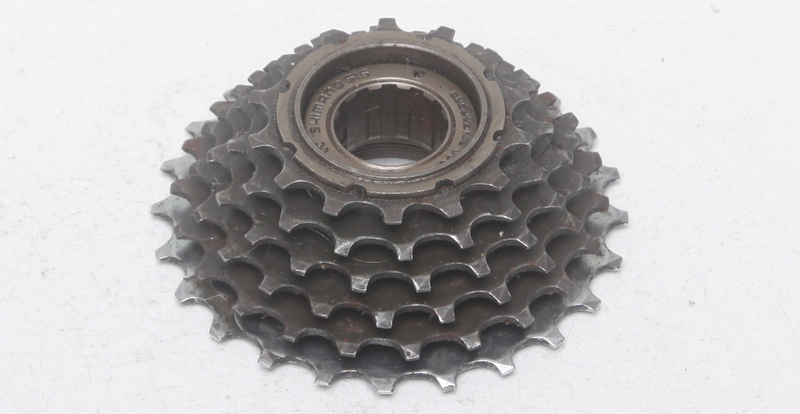 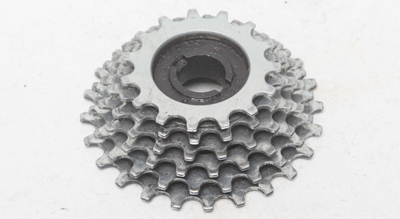 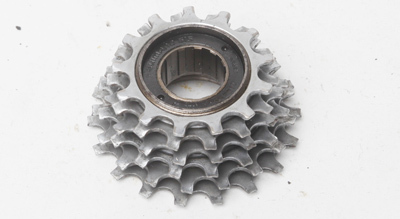 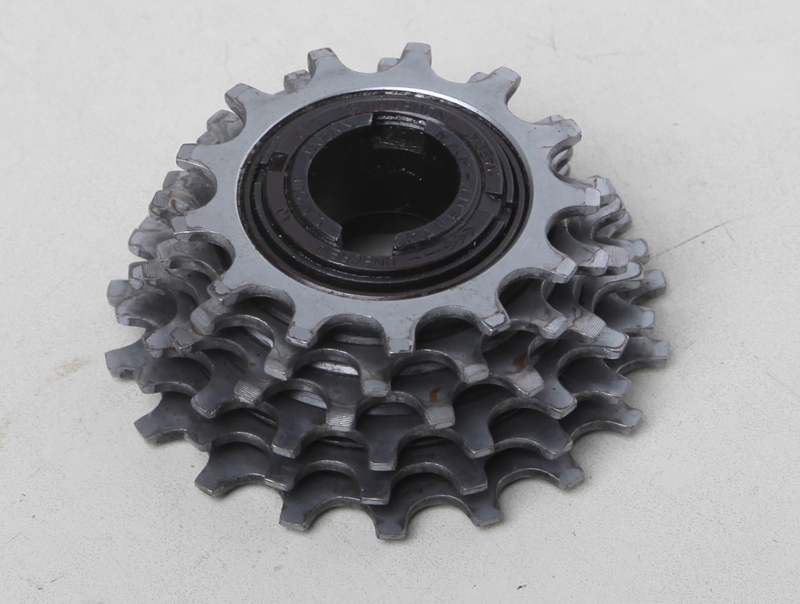 The maximum rear sprocket size most race (short-arm) rear gears will take is 26T – please check with me if you need advice. 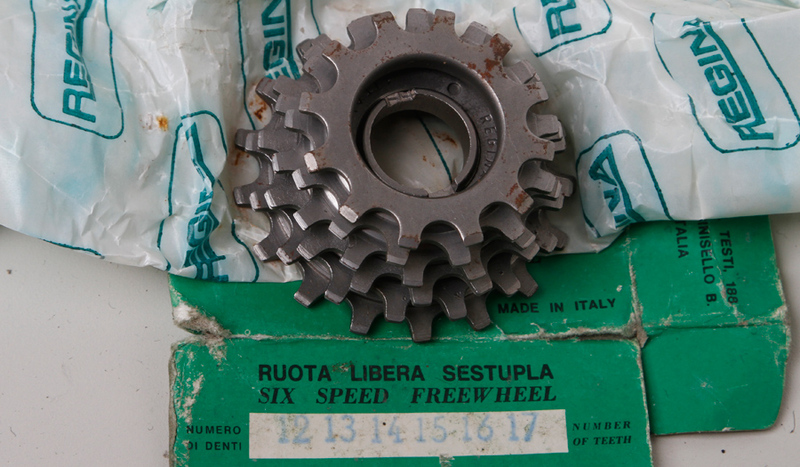 7 & 8 speed See above!